ERA-TAC Two-Piece Ring Mounts are especially crafted of 7075 aircraft grade aluminum. They are available with rust-proof, tempered functional components and hardcoat andodized surfaces. These ERA TAC Two-Piece Ring Mounts are offered with hex nuts or self-locking and adjustable steel levers for compatibility with picatinny rails. They are capable of enduring challenging conditions, meeting highest demands, and proving to be a worthy choice for tactical users and sporting shooters. All rings from the brand are available with UNIVERSAL-interface on top of the ring. 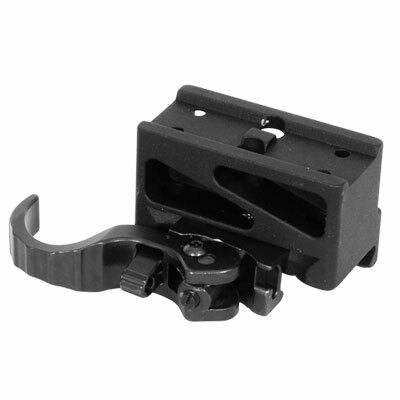 Get the ERA-TAC Mounts for extra precision, better mounting of the optical sighting instrument and improved performance at the range or the field.